The species itself naturlizes so well it is considered invasive in some areas. The fluffily plumed 'Plumosum' is more decorative and more restrained in it's spreading habits. Definitely not your 'typical' muscari these will add a totally different look to your garden. 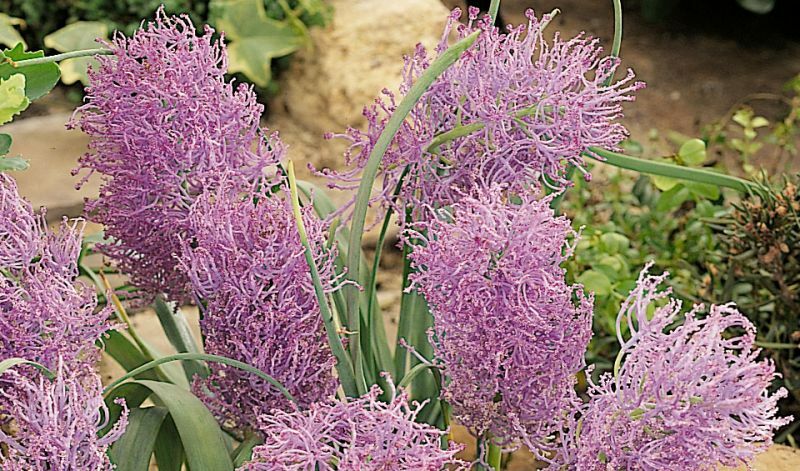 (Besides the species itself); 'Plumosum' (reddish-purple).